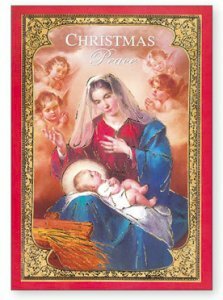 DIVINE CHRISTIAN GIFTS - Christmas Priest Card. You will be Remembered at Mass on Christmas Day, May the Lord of Peace dwell in Your Home and in your Heart. Size: 17.5 cm x 12 cm.